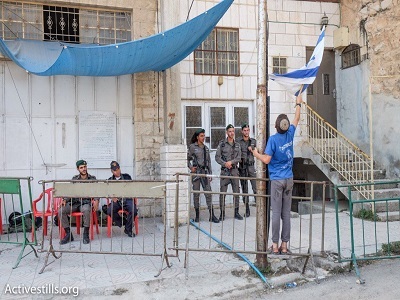 Palestinian families in Hebron came under assault by illegal Israeli Settlers in Hebron Sunday, resulting in 4 injuries. Palestinian Red Crescent sources said that two Palestinians were transferred to hospital for treatment, one of whom sustained an arm fracture and the other suffered from a head injury. Locals said that Israeli settlers had attacked Palestinian houses in the neighborhood. Several residents told Ma’an that they had reported the incident to the International Committee of the Red Cross (ICRC) and Israeli police. 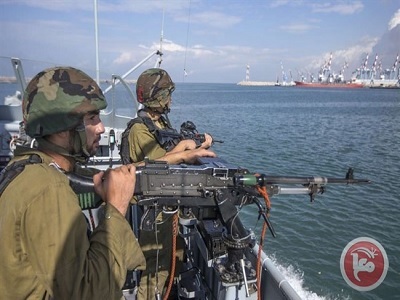 Local sources added that Israeli forces were present in the area at the time and had witnessed the assaults, without intervening. An Israeli police spokesperson was not immediately available for comment. A spokesperson for ICRC said she would look into reports on the incident. Pro-Palestinian activist group International Solidarity Movement released a video of the incident, purportedly showing Israeli settlers throwing stones at Palestinians on their way back from prayers. “Soldiers failed to disperse the settlers, but rather chose to disperse the Palestinians present with stun grenades,” the group said. In addition, the Gaza-based Shehab news agency released a video of the incident, also showing Israeli forces shooting stun grenades in the Palestinian neighborhood during the attack. According to UN documentation, there were a total of 107 reported settler attacks against Palestinians and their properties in the West Bank, including East Jerusalem, in 2016, with 77 attacks being reported since the beginning of 2017. Many Palestinian activists and rights groups have accused Israel of fostering a “culture of impunity” for Israeli settlers and soldiers committing violent acts against Palestinians. Israeli authorities served indictments in only 8.2 per cent of cases of Israeli settlers committing anti-Palestinian crimes in the occupied West Bank in the past three years, according to Israeli NGO Yesh Din. Meanwhile, Palestinians allegedly or actually committing any attacks on Israelis are typically shot dead at the scene, in what rights groups have deemed “extrajudicial executions,” or face long prison sentences.